Okay, today brings us to our next interview, where I’ll be putting questions to the WarioWare: Smooth Moves development team. Keeping with tradition, let’s begin with some introductions. Sakamoto-san, let’s start with you. Of course. My name’s Sakamoto and, according to the credits, I’m the producer! (laughs) My role in this project was to work together with Abe-san and decide what kind of WarioWare we should aim for as a launch title for Wii.1 1WarioWare: Smooth Moves will be released as a launch title in Japan, however the European and North American versions are scheduled for release soon after launch. Hello, I’m Abe and I was in charge of the overall direction of the project. I was involved in everything from the initial experiments using Wii and the Remote to pulling everything together into the finished product. Plus, I made the decisions regarding the final specifications of the finished product and kept the staff moving in the right direction. Traditionally, when Nintendo releases a new piece of hardware, it’s customary for the Entertainment Analysis & Development Division, where Miyamoto-san is based, to take centre stage with a launch title. However, this time round, Software Planning & Development Division where both of you work, also played a key role by providing a launch title in the form of WarioWare: Smooth Moves. 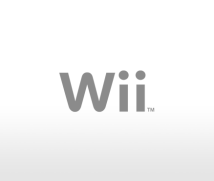 You’ve been working closely with us since the specifications for Wii were being discussed, how do you feel about this break in tradition? It’s just like you said, although we’ve worked on launch titles for our handheld consoles before, this is our first time to prepare one for a home console. In all honesty, we had never really imagined ourselves being involved in bringing out a launch title for a home console. There were so many things about this experience that have been new to us. Developing games for Wii has been a departure from the tried and tested methods of bringing games to traditional consoles, so even developers who are used to dealing with launch titles have lost their bearings a little. The decision to bring a Wario title out at the same time as Wii was made quite early on in the development process. Yes, I remember. When the concept for the Wii Remote had just been determined, I thought: “This was made for WarioWare!” and we came forward with the proposal without having to be asked. During your involvement with the development of the Wii Remote, did you feel that a WarioWare game just had to be made? I did. I had the feeling that we could make something really special using the Wii Remote. And how did you feel, Abe-san? I’m sure that a lot of the development teams involved in continuing series' of games had many concerns when the conventional controller design was suddenly reinvented as the Wii Remote! (laughs) While I’m sure that with the right amount of adjustment, the Remote can add a new dimension to the gameplay for any game, my initial impression, which I came to quickly, was that there would be games that take to the Remote easily and those that present more of a challenge. I’m sure there were some developers who’s first impressions were: “Wow, this is going to be tough!”, but as for me, I fully agree with Abe-san’s point about WarioWare in that I feel there are almost no limits to what we can do with the Remote. Even though this new WarioWare game is about to be released simultaneously with Wii, when the concept for WarioWare was first put together, I don’t think you could have imagined that it would have this kind of longevity. It was a surprise, in the very best sense of the word. I feel that the WarioWare series represents what Nintendo always aims for; finding ways to reach new types of customers, and this type of game is paving the way for us to do so. These games have opened the door to a whole new realm where the playing field is large and you can choose how you want to play, whether you concentrate on the game for a little while or become engrossed in it for hours. This dynamic range, the idea that there is no set way to approach how you play the games, is very close to the direction that Nintendo hopes to take. We had no idea at the start that the games in this series would become milestones of sorts. The release of WarioWare: Smooth Moves brings the series total to five, so speaking as people who’ve worked on the games since the very first release, how does it feel looking back? The first title in the series, WarioWare (2003, Game Boy Advance), was made from a concept that was screaming out to become a game. But, to put it bluntly, I didn't think it would become anything more than a one-hit wonder! (laughs) In the end, we put together a great piece of software that had an exceptional element of uniqueness to it, but I just had the feeling that we wouldn’t be able to repeat this success twice. But having said that, a lot of people were playing the game and it gained a very good reputation. The sales figures were also growing and growing and just when I started to think that this game really should be made into a series, Iwata-san came to me with a request to develop a WarioWare title for the GameCube. When I saw the first WarioWare game I noticed that it wasn’t just fun to play by yourself, but great to watch other people play too. It was then that I thought, since the GameCube is so well-suited to multiplayer gaming, why don’t we release it while the first one is still doing well on the Game Boy Advance? 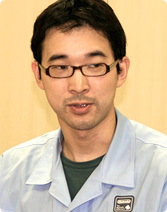 Abe-san, you were the director of WarioWare, Inc.: Mega Party Game$!. Wasn’t this your first experience being at the head of the team? It was. I wanted to make the game from scratch if at all possible, but the idea was to have this one released while the first in the series was still going strong. Essentially, our new direction was to put together a package that featured the microgames from the Game Boy Advance version but to adapt them so that they could be played competitively in various ways by several players at once. Once WarioWare, Inc.: Mega Party Game$! had been finished, the ideas of making another game for the Game Boy Advance and of making a version that could be released together with the upcoming Nintendo DS came up at the same time. Sakamoto-san, you and I had to do some serious thinking, didn't we? Even while the original Game Boy Advance game was still steadily selling units, there were those who said we should make another handheld version. But one thing that is especially important when developing a WarioWare game is originality. All the games are basically collections of microgames, we didn’t just want to release a new collection, we wanted to add a new twist to the series. The first game's emphasis was on instant action, and the second on multiplayer gameplay. For the upcoming release we were at the stage where we needed to find an original way to use all the new microgames we’d amassed. Although the project had been progressing smoothly, we hadn't yet come up with that crucial key element. Around that time, the final specifications for the Nintendo DS had been decided and we were presented with exactly the angle we had been looking for: to produce a game that made the most of the stylus concept. It was obvious that this kind of game would be ideal for the Nintendo DS and so we decided to go ahead with the project. The problem that we were facing was that to develop the game ready for release at the same time as the DS, we faced an extremely tight schedule. And aside from that, the development of the second Game Boy Advance game was well underway. It was then that one of the development staff mentioned that he’d been working on an experimental piece of software. He showed me a prototype which could be used with a motion sensor to control the on-screen action. It was Kazuyoshi Ozawa actually. Kazuyoshi Ozawa, the director and chief programmer of Rhythm Heaven.2 2Rhythm Heaven is a game that was released in Japan earlier this year, but has yet to be released in Europe and North America. Yes, it was him. He’d put together a version of WarioWare that made use of motion sensor technology and I have to say, it was extremely enjoyable! The idea that you could control the action by rotating the unit was great, but the fact that this allowed the games to be played in an entirely new way was even more exciting. We agreed that Iwata-san had to see this and so we took it to show you straight away. That’s the one! (laughs) That part also made it into the final product you know! Okay, okay! (laughs) I may have been saying that, but I was still having a great time! From then on, we decided that the Game Boy Advance version should centre around the concept of revolving. Even Ozawa-san’s project papers had this reflected in the title. And so it was decided, and WarioWare: Twisted!3 was released for Game Boy Advance in 2004. 3WarioWare: Twisted! has yet to be released in Europe. At the same time a Nintendo DS version was made that used the stylus to control the game, and had the concept of “Touch”. And so together they became “Twist” and “Touch”! Sakamoto-san and I both knew then that we’d succeeded! Everything just came together and the Nintendo DS version WarioWare: Touched! was released in 2004. We decided to work on the Game Boy Advance version first. We ended up splitting the team in two so that we wouldn’t have to stop working on the “Touched!” version while we were working on “Twisted!". And so in such a short space of time, we managed to get two WarioWare products finished, both of which have gone on to receive a very warm welcome from the many fans that enjoy playing them. And soon there’ll be a new addition to the series, the Wii version, WarioWare: Smooth Moves. Both of you have already told me about your reactions to seeing the Wii Remote for the first time, but I wondered if you’d share with us a few more of your feelings regarding this. The fact that the Wii Remote can be used by swinging it around or rotating it really is an important point as far as we're concerned. With WarioWare titles up to now, we have always faced the challenge of how to present the new playing style for the game. But with the Wii version, the Remote solved that issue right from the start. What I mean is that the Wii Remote, with all of the possibilities it has, fitted perfectly with what we were trying to do. Also, because the WarioWare titles basically consist of a collection of microgames with the nature of each game being simplistic, we’re able to include all manner of one-shot routines and experience numerous individual sequences without the need to make a storyline to hold it all together. With the Wii Remote, the most attractive point is that it makes us think: “Now what can we do with this?” and I think that in turn fits in perfectly with the style of the WarioWare games. To sum up, because absolutely anything can be included in these games, the process of applying new technology to the software means that whatever we do becomes a game in itself. I think it’s unusual to think that while our original plan was to experiment with a new controller interface, we've managed to come up with a whole new product. And that's all there is to it! Well, I suppose there's a little more to it than that, but we didn't need anything more to improve the product… Perhaps I’ve said too much!